Salina, Kansas offers businesses easy access to a highly skilled and educated workforce of more than 213,000 within a 90-minute drive and to markets that put 45 million consumers within a single day’s drive. Salina is ready to grow with your business offering a competitive mix of existing buildings and more than 1,200 acres ready for development. With sites as small as one acre up to 240, there’s room here for most any type of business, large or small. 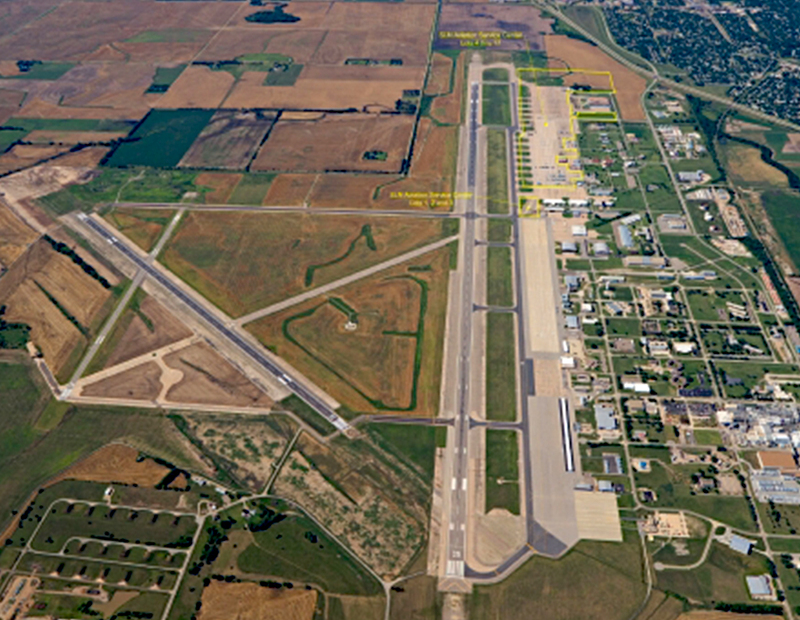 The Salina Airport and Industrial Center offers almost 200,000 square feet of available space that can accommodate most any type of business. And, all the infrastructure is in place. Whether you need office space, shop areas, room for manufacturing or an expansive warehouse storage, you will find it here. Today, more than 100 diverse businesses and organizations already call the Industrial Center home, and they’re ready to welcome new neighbors. Aircraft service companies, charter airlines, and other related businesses will find everything they need to thrive at Salina Regional. There are several available hangars, including some that can accommodate aircraft with tail heights of up to 34 feet. Businesses here also have direct access to the facility’s main runway which – at 12,301 feet wide by 150 feet wide – is big enough to support the largest aircraft flying the skies today. There are also several sites located on the north side of the city and in the South Industrial District and ready for development. With the intersection of east-west running Interstate 70 with Interstate 135, which runs north and south, businesses in Salina enjoy easy access to markets in all directions no matter where they are located. If you’re looking for a site for your business, we can help you find it here in Salina, Kansas. Contact us today! Telephone: 785-404-3131 | Email: mrobinson@salinaedo.org | Marketing services provided by Brand Acceleration, Inc.